The Innovation World Cup® Series joined hands with the BIM World! 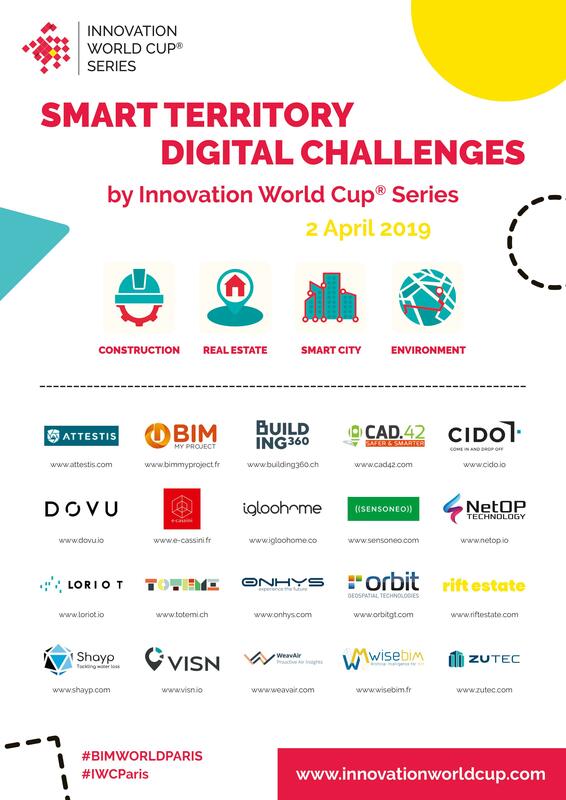 Don’t miss the Smart Territory Digital Challenges Pitch & Award Ceremony 2019 in Paris on April 2nd and take the opportunity to connect with the top innovators of the construction & real estate industry and urban planning! The startups and innovative developers from all over the world will meet in Paris on April 2nd to present their ground-breaking solutions or services in one of the four categories “construction”, “real estate”, “smart city” or “environment“. The finalists stand a great chance to bring home the Smart Territory Digital Challenges Award by the Innovation World Cup® Series. The official Pitch and Award Ceremony will take place at the BIM World Paris 2019, the leading event in Europe for the digital transformation of the construction industry, on April 2nd! The finalists across 4 categories will showcase their solutions on stage and demonstrate how they digitize our territories, and making them smart. They will also get access to the global Innovation World Cup® Series network and will be introduced to the BIM World ecosystem involving major key-players of the sector. 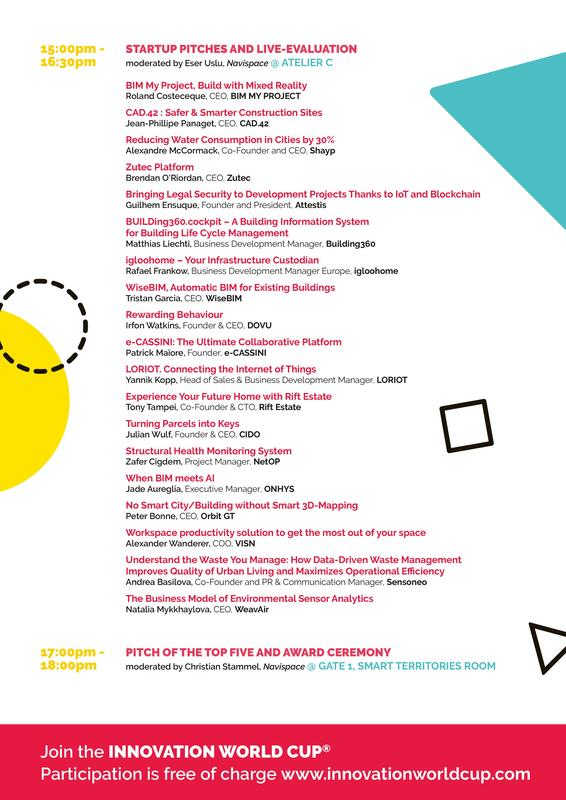 The names of the top 20 Finalists, who will show up at the Smart Territory Digital Challenges Pitch & Award Ceremony at BIM World Paris 2019 is now released! Let’s discover who they are and their extraordinary solutions. What will occur on stage? Shape the future of the construction industry with us!